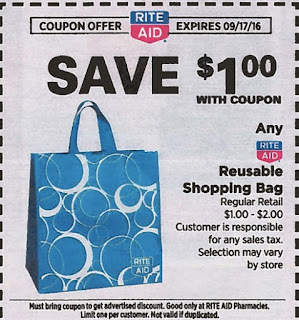 Savvy Spending: Free Rite Aid Reusable Bag this week! Free Rite Aid Reusable Bag this week! You can get a FREE Rite Aid brand Reusable Shopping Bag! They are priced at $1 but you can use the in-ad coupon to get one for free!